Welcome to our Junior Instructor Program. Children can take their Shodan grading (first level of Black Belt) from the age of 12 years old. This is a cadet grade and will progress into an adult grade from the age of 15 years. 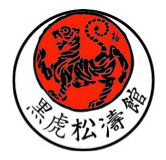 From the age of 12 years old the Shodans can enroll on the Junior Black Belt Program. This is a course of study which will increase the children’s martial arts knowledge and bridge the gap between the Children’s syllabus and the Adult syllabus, thereby preparing the children to enter the adult class when they are 15 years old. The Children’s Black Belt Program includes an introduction into the Okinawa weapon system (Kobudo). The Black Belt Program also lays a foundation for children who may wish to start teaching Karate and obtain a qualification as a Martial Arts Instructor. Time: 2pm – 6pm – Please accept our Sincere Apologies for the late Cancellation of this booking.